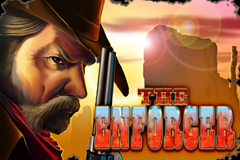 Themed around a sheriff in the American West, The Enforcer, from Ainsworth Technologies, has been a popular pokie at land based casinos for some time and is now featured online, which will bring it to a whole new audience. Players looking for an atmospheric game that comes with a couple of extra features, should be able to spin up decent wins across the 5 reels and 10 paylines that The Enforcer comes with. Those people old enough to remember the classic Western movies that starred Lee Van Cleef will recognise the main character here. He’s a grizzled-looking lawman who looks like he’s seen it all, but will be more than welcomed by players, as he will help them spin up some extra wins along the way, acting as a wild symbol and during the main bonus game, he will even stick around the reels for a while. It has a fairly simple design, with just a glimpse of a desert landscape behind the reels and a rustic wood-effect frame around them. Symbols spin against a deep red background and players will want to line 3, 4 or 5 of the same type across adjacent reels on an active payline to win a prize, although there’s a scatter symbol that works in a different way and also triggers the bonus round. In common with many pokies, the playing card symbols from 9 through to A will tend to fill much of the game, as these create the smaller winning combinations. They are completely standard here, with no attempt to adapt them to a Western theme, and while some people like to see these familiar icons, others may be a bit disappointed that the same old images are turning up again and again. It’s all a matter of opinion and so not a good or a bad thing. To give this game a bit more of a visual impact, there are a number of symbols unique to it, and all follow the Western topic. They are also quite well designed, in a style that Ainsworth are well-known for, so we have images of a steam locomotive, complete with a cow-catcher on the front, a gun belt that’s complete with bullets and a traditional six-shooter ready to be drawn against the bad guys, a sheriff’s badge and a dynamic image of our hero shooting from his horse. The Sheriff is a wild symbol, so any time he appears, he’s able to act as all except the scatter to help complete winning lines. If, for example, the A was on reels 1 and 3 across a line and the wild on the same line, on reel 2, he would fill in the gap and players are paid out as if 3 A’s had landed. There’s the added advantage that a winning line of 3 or 4 matching symbols can be turned into a more valuable line of 4 or 5 if the wild lands on the right-side reels, and to make it even easier, the Sheriff will be stacked across any reel he lands on. A cattle branding iron might look painful for the unfortunate animal it’s burned onto, but for players, there’s a pleasant reward in store whenever this red-hot symbol lands on any 3 or more reels. This is the trigger for 8 free spins, during which any cattle branding irons that land on reels 1, 3 and/or 5 will reveal a win multiplier of up to 3x the base value. The wild symbol will also remain locked in place for any remaining spins in this feature, so anyone landing a wild on the first free spin will see it stay in place for the next 7 games, hopefully being joined by more and more of them before the last one plays out. 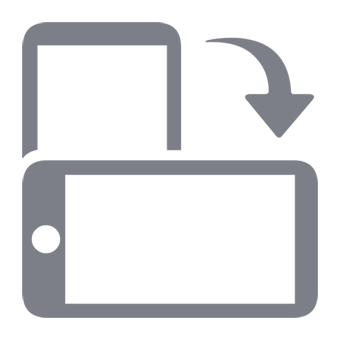 Just 2 branding iron symbols are needed to re-trigger the round, although just 5 spins will be awarded this time. There’s a certain charm to this pokie that has attracted lots of attention ever since it was released at traditional casinos and is sure to earn it a new set of fans now that it’s available online. This is an easy game to play and with the playing card symbols taking up much of it, people will certainly be familiar with how it looks. The picture symbols are all nicely done, but really, The Enforcer is all about the free spins games and the extra treats that come with them, such as those locked wilds, random multipliers and the potential to retrigger them for even more rewards.